This one made it to the Flickr Explore 30 July 2010 list. Subscribe to comments with RSS or TrackBack to 'Yellow knot, a closer look'. ciao, bellissimo scatto! complimenti davvero! Molto belli i colori e la composizione, come al solito! Grazie. Qualche marinaio tra voi sa che nodo è? Very nice indeed, and my 2 favourite colours! 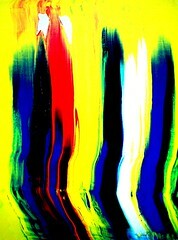 Ciao, sono amministratore di un gruppo chiamato fotogriPhone *PIC OF THE DAY AWARD* invited images only. Ci farebbe piacere aggiungere le tuo foto al gruppo. Nice Marco, congrats on Explore! Nice to see iPhoneography make it to Explore. wonderful simple compo. congrats on explore. Hi, I’m an admin for a group called Stock Photography – Photo Infos, and we’d love to have this added to the group! This beautiful picture is quite rightly chosen for EXPLORE. Congratulations! 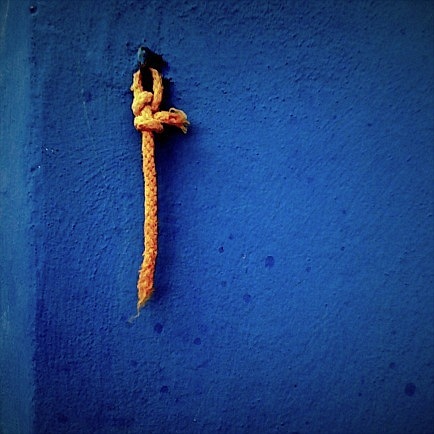 Beautiful, love the pop of the rope against the blue wall! OK, let’s see if we can get this one to the FRONT PAGE. You’re really singin’ the blues now! Please consider posting it to Singin’ The Blues. It would be a great addition to the pool! Please abide by the Rules, thanks. Super ! Beauty in simplicity. My all time favourite photo. Where did the idea come from? It is exquisite and I wish I had taken it. Hi, I’m an admin for a group called "^CreATTività/CreActivity[Post 1/Award 2 Sweeper go! ], and we’d love to have this added to the group! Great color. Love a great minimalist composition!